I was digging around the corkscrew case this morning, and in a little box, ran across another small folding bow corkscrew. This too has the hanging ring, but is even smaller. Closed, it measures just shy of an inch. It is really delicate, with a tight light helix. In looking at this little bow, and the one mention yesterday, as well as Petey’s Best 6 for this year…It got me wondering what the smallest bow corkscrew might be. 3. More common steel bow, boasting nice faceted decoration. Measures 1 1/8″. 4. A super two tool example, corkscrew & button hook with a loop for a chatelaine. Measures 1 5/8″. 5. Silver plated miniature bow corkscrew with ribbed decoration. Measures 1 3/8″. 6. Silver example with Birmingham hallmarks which date it to 1882. Measures 1″. Ferd and Bert’s book on Pocket Corkscrews, on page 97 shows a similar corkscrew to mine at 2,4 centimeters (.94 inches). And, on page 100, a tiny bow measuring 1,7 centimeters (.66 inches). Is that the smallest? Or, is there smaller? Let’s see how small is small. 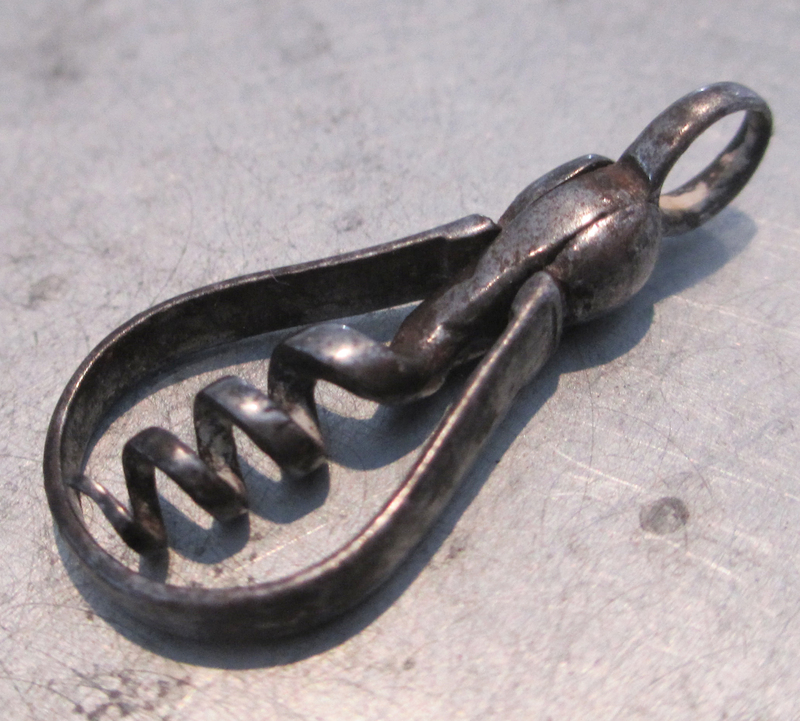 For those of you interested, check the smallest bow corkscrews in your collection…is there one smaller than 1,7 centimeters (.66 inches)? 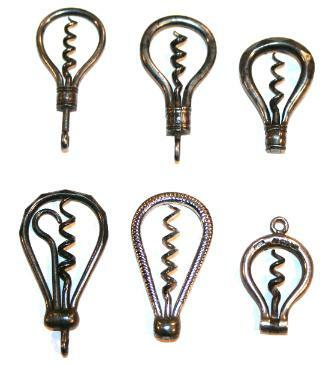 Be sure to measure the corkscrew closed, and include the hanging ring if it has one.